In October 1975 a Short Course on Feldspar Mineralogy was held at the Hotel Utah, Salt Lake City, in conjunction with the annual meetings of the Mineralogical Society of America. 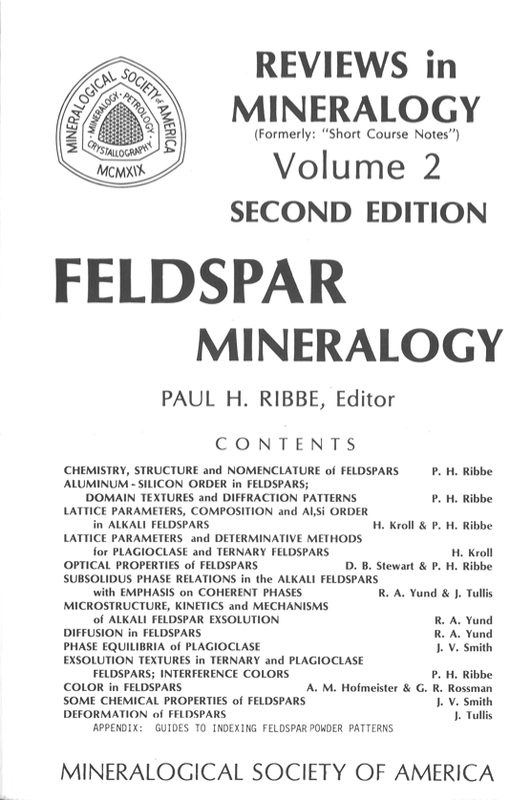 Richard A. Yund, David B. Stewart, Joseph V. Smith and Paul R. Ribbe presented workshops on x-ray single-crystal and powder diffraction methods and electron optical techniques as applied to the study of feldspars and presented eight lectures, the substance of which became the nine chapters of the first edition of Feldspar Mineralogy. That book was published by the Mineralogical Society as the second volume of its series entitled Short Course Notes. 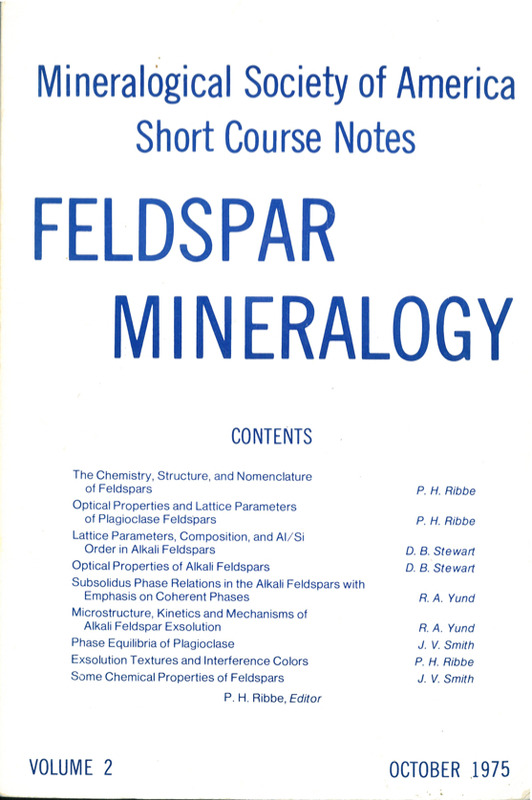 In 1980 the MSA renamed the series Reviews in Mineralogy to more accurately reflect the scope and contents of the volumes, some of which -- including Volume 5 (1st and 2nd editions), this volume and a forthcoming one on fluid inclusions --were written without presentation at a short course. It will be noted by readers experienced with feldspars that there are many new ideas appearing in Chapters 3, 4 and 5 that have neither received scrutiny by review (other than ourselves) nor survived practical tests of time in the research community. There is some danger in this, but the editor decided the greater risk was to produce a review volume soon to be outdated. Inevitably, given the different goals of individual authors in their assigned topics, some repetition of material has occurred, although usually with quite different emphases. Chapters 1, 2, 9 and 10, in which plagioclase structures and diffraction patterns and their Al,Si distributions, phase equilibria and exsolution textures are featured, are notable in this regard. The editor has attempted to cross-reference these and as many other subjects throughout the volume as feasible. This is a luxury not afforded in other books of this series produced with a short course deadline, and it, together with the detailed Table of Contents, compensates to some degree for the lack of an index. Throughout this book repeated references are made to Smith (1974a,b); these are Volumes 1 and 2 of Feldspar Minerals, an encyclopedic work written by Joseph V. Smith and published by Springer-Verlag. We are particularly indebted to Drs. Konrad Springer and H. Wiebking for permission to reproduce many figures free of charge. The editor (and hopefully this volume) benefitted greatly from numerous stimulating discussions with David B. Stewart, some of which reached a high pitch, none of which came to blows, and several of which produced some palpable scientific progress. Stewart read and criticized many of the chapters. The authors are grateful to numerous individual scientists for figures, for data in advance of publication, and for encouragement and correction. 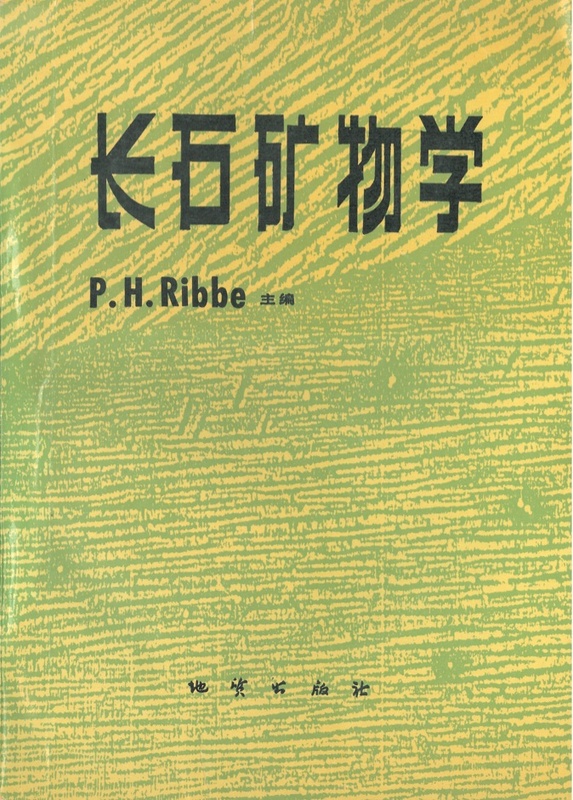 by Paul H. Ribbe, p. 1 - 20.
by Paul H. Ribbe, p. 21 - 56.
by Herbert Kroll and Paul H. Ribbe, p. 57 - 100.
by Herbert Kroll, p. 101 - 120.
by David B. Stewart and Paul H. Ribbe, p. 121 - 140.
by Richard A. Yund and Jan Tullis, p. 141 - 176.
by Richard A. Yund, p. 177 - 202.
by Richard A. Yund, p. 203 - 222.
by Joeseph V. Smith, p. 223 - 240.
by Paul H. Ribbe, p. 241 - 270.
by Anne M. Hofmeister and George R. Rossman, p. 271 - 280.
by Joseph V. Smith, p. 281 - 296.
by Jan Tullis, p. 297 - 324.